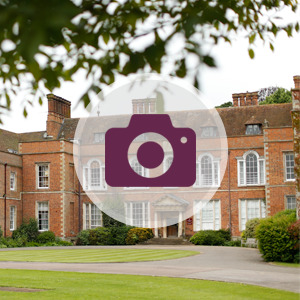 Founded in 1927, Ashfold is a leading independent prep school for boys and girls aged 3 – 13 years. We are idyllically located in 30 acres of beautiful grounds on the edge of the village of Dorton in the Buckinghamshire countryside, close to Thame, Princes Risborough, Aylesbury, Bicester and Oxford, and with excellent transport links to London. This glorious rural environment provides a safe and inspiring space in which our boys and girls are free to be children, to play, to build dens and climb trees, to learn and develop lasting friendships. "The School’s centrepiece is an elegant Jacobean mansion with a tree-lined approach worthy of a film set, nestling in 30 acres of stunning grounds"
Our children move on to a wide range of leading independent day and boarding senior schools at 13+, many with scholarships and awards. We have excellent links with all our senior schools and a wealth of experience in guiding parents to choose the best school for their child. We are ambitious for all our children and with our help, they achieve great things. "Throughout the school, pupils' achievements and learning are excellent. They enjoy their learning and make excellent progress due to the high quality of their attitudes and motivation. Pupils achieve high standards both in their academic studies and in the extensive range of extra-curricular pursuits. Such levels of achievement benefit strongly from the considerable breadth of curricular provision and high quality teaching"
Ashfold offers an excellent all-round education and a wealth of opportunities to excel both in the classroom and beyond. We encourage and celebrate participation in sport and the arts, including art and design technology, drama and music, as well as a wide variety of extra-curricular activities, enabling every child to develop their individual strengths, talents and interests and discover new ones. "Whether arty, sporty, or musical, there’s something for every child here"
Our Christian ethos and values underpin our daily routine with regular assemblies and grace at meal times. We encourage our children to think about their responsibilities to others and to be tolerant, kind and polite. Our staff provide excellent pastoral care to support our children throughout their time at Ashfold and beyond. "The spiritual, moral, social and cultural development of the pupils is excellent"
"Pupils know they are valued as individuals and are aware of their own abilities"
"Pastoral care is excellent...Relationships are strong and behaviour is excellent"
We understand that family time is precious and so at Ashfold, the school week runs from Monday to Friday and there is no Saturday school. We offer optional boarding (up to three nights a week from Form III/Year 5 and up to four nights a week from Form IV/Year 6) which is extremely popular with most children staying one or two nights a week and taking full advantage of our exceptional range of evening activities. It also allows extra time and space for children to relax with friends and discover whether the boarding life suits them. "The quality of boarding is excellent"
"Boarders are articulate, polite and sociable"
Ashfold is a friendly, family-orientated school. This is evident in the way our parents are actively involved in many different aspects of school life, through our Parents’ Committee, at plays and concerts and on the touchline. There are regular social events throughout the year as well as our fabulous biennial May Ball. Parents are a vital part of our school community and we welcome their involvement. "It’s quite a community, with parent/staff netball, hockey and tennis, wine tastings, quiz nights, regular coffee mornings, fireworks, Burns Night dinner, and a massive May Ball every second year. It’s quite a small school in terms of numbers so parents do get to know each other well." "Ashfold mums will talk your ear off about how nurturing the school is. They love it."